Virgil D. Turner and Benjamin F. Baxter started the Baxter-Turner Vault Company in 1929. Virgil had gotten the idea from his brother-in-law, Donald Baxter, who had purchased an existing concrete burial vault plant in Cincinnati, Ohio. During this time, Virgil was working in a newspaper office in Ft. Wayne, Indiana. He knew of Doswell & Kover who had designed and built some burial vault molds and operated a few plants around the area. Virgil and Don then found the Toledo plant, which was up for sale and in a good location. After being married only 6 months, Virgil worked up the courage to ask his new father-in-law Ben if he would like to go into business with him. Ben's answer was yes. The company was then purchased and they were off to a great start. In 1938, they both decided it was time for Virgil to buy Ben out. In 1947, Virgil signed a contract with Wilbert Burial Vaults. In 1959 Virgil's son, Ronald K. Turner, joined the company and at that time the name was changed to Turner Vault Company. After 30 years in the business, Virgil then decided to take some time off and let his son Ron take the helm. Under Ron's lead, Turner Vault Company made a natural expansion to casket sales which provided a great service to the funeral director. In 1981, with cremation rates rising to a point that could no longer be ignored, Turner Vault Company extended its business by offering cremation services to its customers. With expansions to Turner Vault Company in place, it became time to involve the third generation of the Turner family. In 1991, Steven D. Turner started in the business by commuting to and from Florida as a part-time employee. Within a year, Steve decided that he loved the business and Ohio weather so much, that he moved to Toledo and became the new General Manager. Once established in Ohio, Steve focused his efforts on growing the family business. In 1998, it was now Ron's turn to step down and Steve was named President of Turner Vault Company. Due to the increase in customers, production and employees, Turner Vault Company grew too large to continue at the same location that was established by Virgil in 1929. In the fall of 2002, ground was broken in nearby Northwood, Ohio for the new Turner Vault Company. Production was started in the summer of 2003. Renovations were performed on the crematory in the fall of 2005. At this time Steve saw a need in providing cremation service for our furry and feathered friends. Everlasting Companion Services or ECS, was up and running by January 2006. In June of 2006, Steve had another great opportunity to expand the family business. With the purchase of the former Bell Vault located in Lima Ohio, Turner Vault Company is currently servicing 21 counties located in Northwest and Mid-Central Ohio, as well as Monroe County located in Southeast Michigan. The most recent change for Turner Vault Company occurred in July of 2008. The former Everlasting Companion Services, or ECS, has now been transformed to Paws & Remember another Wilbert franchise that was started by Mark Minnick in Ft. Wayne, Indiana. Contact us to learn more about Wilbert Funeral Services or Paws and Remember. Turner Vault Company offers burial and cremation services to Monroe County in Michigan and to the following counties in Ohio: Allen, Auglaize, Defiance, Erie, Fulton, Hancock, Hardin, Henry, Huron, Logan, Lucas, Mercer, Ottawa, Paulding, Putnam, Sandusky, Seneca, Shelby, Van Wert, Williams and Wood. 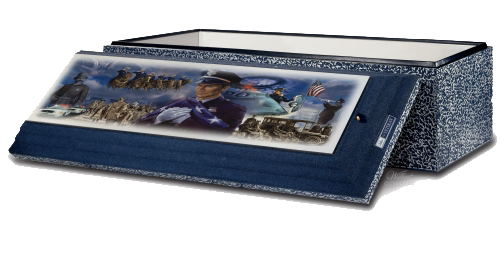 With fully operating burial vault manufacturing plants in Lima and Northwood, we are able to service the funeral homes in this area with the best service possible. Wilbert Funeral Service in Chicago (corporate HQ) has awarded Turner Vault of Toledo & Lima with "Ultimate Service Provider" for the tenth year in a row. We are pleased to announce that Wilbert Funeral Service in Chicago (corporate HQ) has again awarded Turner Vault of Toledo & Lima as a "Ultimate Service Provider". There are four service levels: Minimum Service, Basic Service, Premium Service, and Ultimate Service Provider. To be classified as an Ultimate Service Provider, one must receive at least 75 points out of 88 points; a higher score is attainable when bonus points are earned for exceptional achievements. Points are collected by category, including tents, chairs, greens, Wilbert Way, lowering device, vaults, employees, and trucks and delivery. Both the Toledo and Lima locations surpassed the 75 points needed to obtain "Ultimate Service Provider" status. Although we are very proud of this accomplishment internally, it pleases us most that local families are the recipients of this service.